Lee Sung-kyung and Park Hyung-sik boasted their voice-over skills via Naver’s V app Wednesday. They showed up while dancing to the main theme song of animated film “Trolls” and introduced their characters. They dubbed the voices for the Korean version of the DreamWorks movie. Lee immersed herself in her role as optimistic princess Poppy by channeling her inner princess into it. Park depended on his deep voice to play cranky worrier Branch. “Maybe I should say that Branch and I have a lot in common. When I’m hungry, I also grumble,” Park said. Lee and Park sang “True Colors” together, which was featured in the film, showing off their chemistry. “Trolls” gained popularity overseas with Justin Timberlake and Anna Kendrick providing the voices for Poppy and Branch. 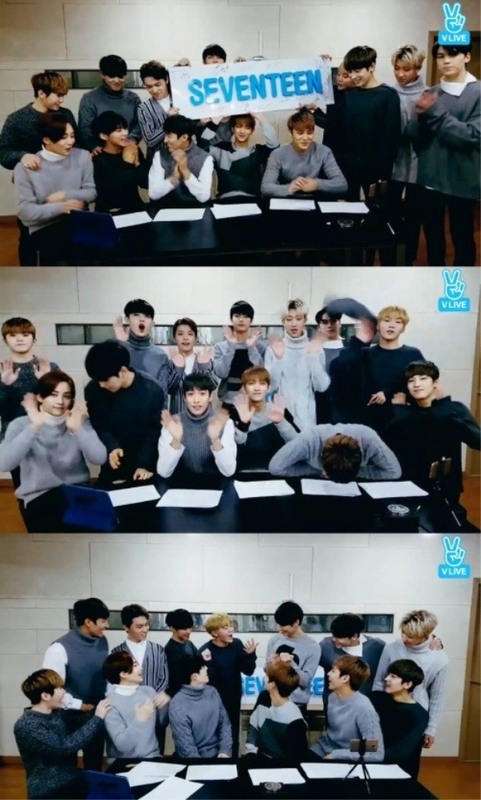 Seventeen expressed gratitude to fans Wednesday for being named on the list of the V app’s top 10 global artists. Each member delivered a 10-syllable message to viewers to convey gratitude for receiving the recognition. Leader S. Coups said, “We’ll work harder and create more opportunities to spend time with Carats,” referring to the band’s fan group. Seventeen had over 1.26 million followers as of 11 a.m. on Thursday.